Hi there ribbon and mulberry flower lovers! 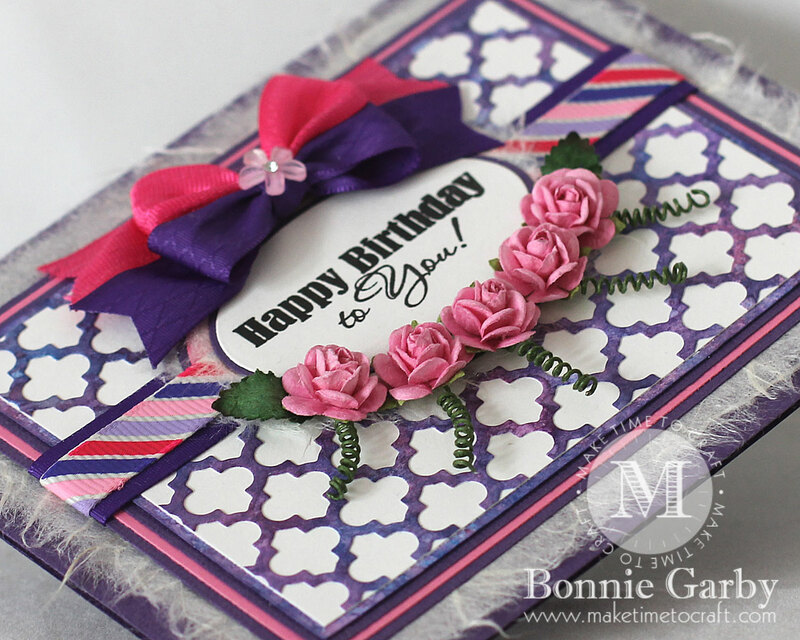 Today I’m sharing a pretty birthday card that would be perfect for your bestie. 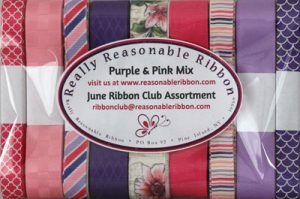 It showcases some pretty Open Roses and ribbon from the June Ribbon Club Assortment from Really Reasonable Ribbon. Mulberry Flowers are such a wonderful way to add some real ‘pizazz’ to your projects quickly and easily. The best part is that they are so economically priced! Check out the full line of Mulberry Flowers offered at Really Reasonable Ribbon HERE. Wow this is amazing! 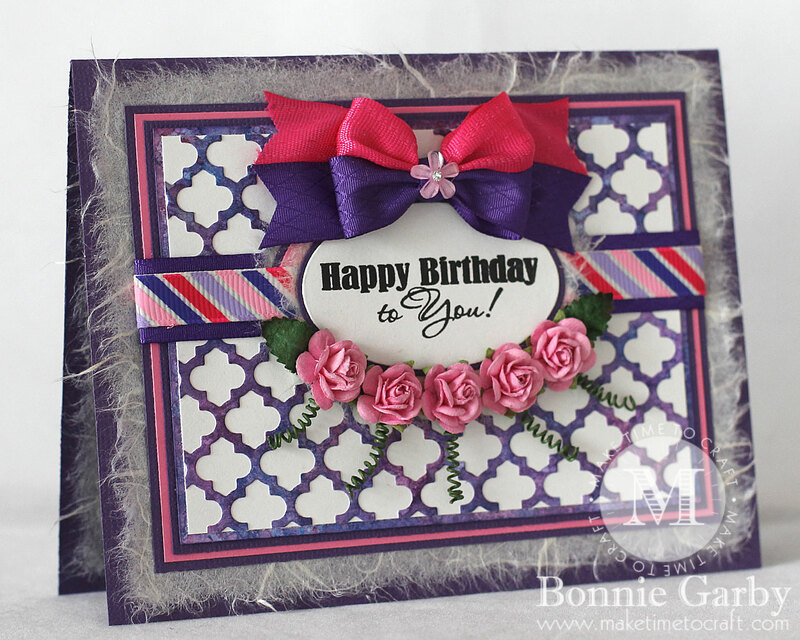 You have showcased those beautiful ribbons perfectly in one card, Bonnie! Grear design and fun to look at lots of fabulous details. Thank you for joining us at Simon Says Stamp Wednesday Challenge! 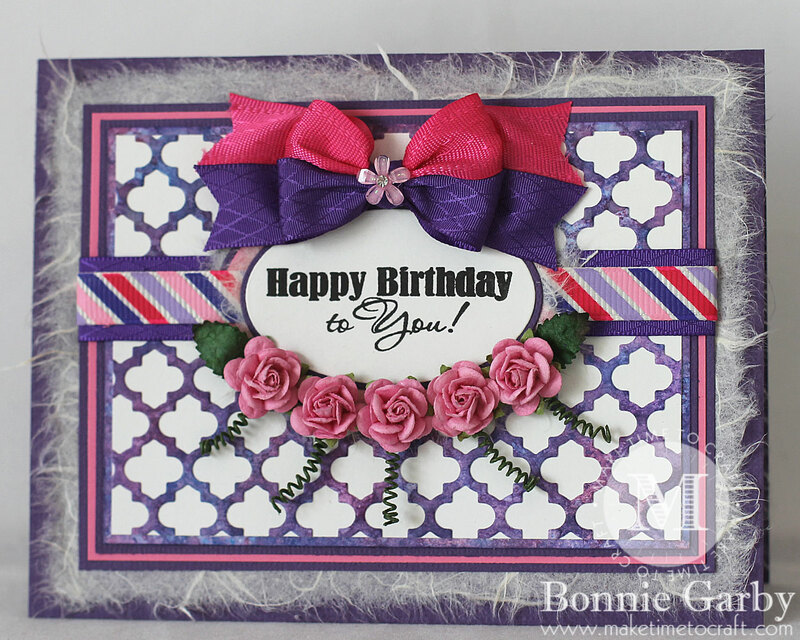 Fantastic use of ribbons Bonnie on this brilliant card. Just beautiful! Your design is spectacular! I love the roses – such a lovely element! Great job! Thanks for joining us at Scrapy Land this week! 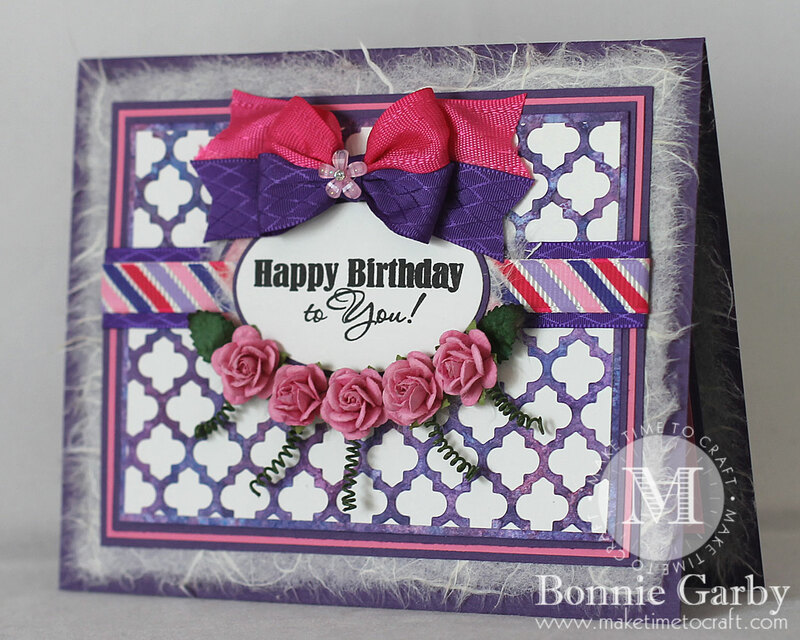 Beautiful color combination on your card! Thanks for sharing with us at Scrapy Land Challenges! Beautiful card. Love the colours you used. 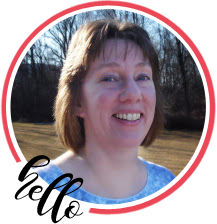 Thank you for playing along with us at Crafty Gals Corner. We hope to see you again soon.